The Minister of Foreign Affairs of Somaliland, Mohamed Behi, has requested assistance from the French government to present its case for independence to the UN Security Council. 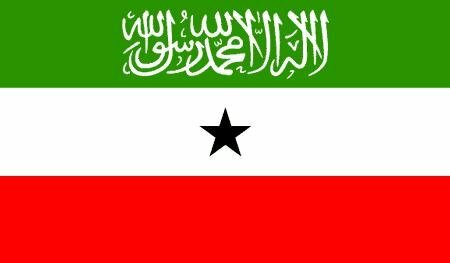 The government of Somaliland hopes that presenting it to the Security Council and getting one of the permanent members involved will highlight its efforts to gain recognition. The government of Somaliland has requested the government of France – which is one of the five permanent nations of the United Nations Security Council – to bring its case on independence and the recognition to the UN Security Council. This has been declared in a joint press conference held at the Presidential Palace by the Minister of Interior and International Relations Mr. Mohamed Bihi Younis and the French Ambassador to Somaliland/Somalia, after the Ambassador's meeting with the President of Somaliland Republic Mr. Ahmed Silanyo. "We have requested from the Government of France to put our case related to independence and recognition to the UN Security Council. We have also invited France to join partaking in Somaliland's recognition seeking efforts. We have likewise explained the delegation our achievements and developments in the issues related to the security, stability, progress and democracy," Minister for Foreign Affairs stated. On the other hand; France's Ambassador to Kenya Mr. Remi Marechaux has referred Somaliland's case to the African Union and pointed out, "The France position to this case (Somaliland Independence) is not a mystery. It's the position of the African Union to put your case to the UN Security Council,"
The visiting ambassador Remi Marechaux added, "While we are aligned with others on the issue of Somaliland's sovereignty this does not stop my government from viewing or integrating with Somaliland in a distinct manner." The Ambassador has similarly noted that France will take part in Somaliland's investment opportunities and the development as well.